Big changes are afoot! I’ve already gone through one big life change this year (got married), and now I’m about to embark upon another. Two years ago I landed my dream job working at MadLab. 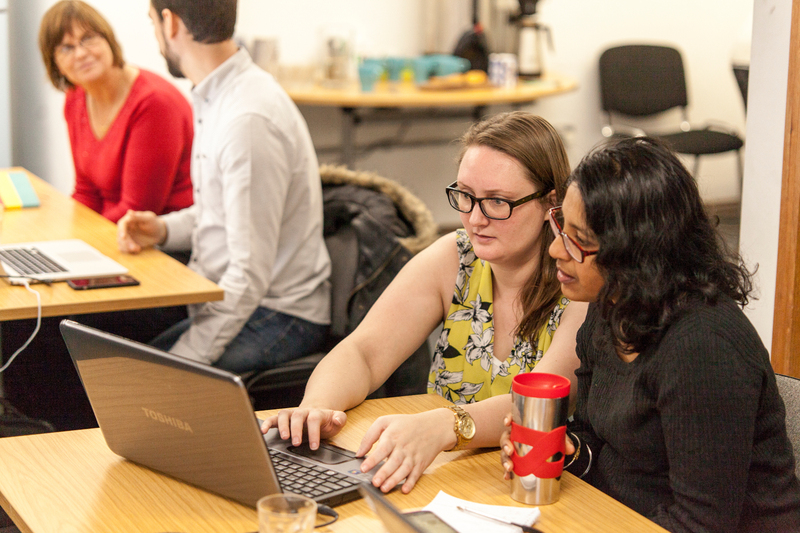 Despite coming into the organisation in an operations role, I had first worked with MadLab as a tutor on their Digital Skills for Women workshops. While I wasn’t hugely experienced as a tutor, it was something I enjoyed and alongside my other work at MadLab, I continued to develop. While still running the operations side of MadLab, I managed to rack up a decent amount of training experience too. Running a variety of workshops on coding and other digital skills, I ignited my passion for teaching. With plenty of schemes under my belt and a good reputation, the offers of work started to come in. Over the last year, we were approached as an organisation to run a variety of different training schemes, including WordPress for startups through the Business Growth Hub, Online Safety for Parents and Carers for Tameside Council, Digital Skills or Salford for Salford Third Sector Consortium and Digital Skills for Women for Manchester City Council. I also have a passion for engaging young people with science and technology. I’ve been a STEM Ambassador since 2015, I’m a Code Club volunteer and have been the North West Regional Code Club Champion since 2016, I have been involved with the Raspberry Pi Foundation helping develop a scheme to engage teens in digital making (Pioneers), I’m a Raspberry Pi Certified Educator and a Pi-Top Champion. Put the two together and what do you get? A Computer Science teacher! Earlier this year I took the plunge and applied to do a PGCE in Secondary Computer Science, and I’m pleased to say that I have been offered (and have accepted) a place at MMU to start in September. I know that it’s going to be a lot of hard work. I’ll be starting my Subject Knowledge Enhancement course next week, and that will run for 24 weeks, so I’ll need to study alongside my current job and the PGCE after September. I’m also cramming in as much CPD as I can, and I’ll still be working as the Django Girls Awesomeness Ambassador for 10-20 hours a week on top. It’s going to be a lot of hard work, but I’m also really excited to start the next chapter of my life.